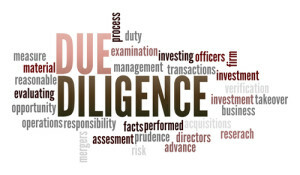 If you have ever sold a business you will have been through the process but if you are a first timer to it then you may wonder what the buyer means when he talks about doing “due diligence” or why you need a solicitor to help you with that. There is a long-standing rule of contract law which is stated in the time honoured Latin phrase “caveat emptor” which means “let the buyer beware”. In other words, it’s up to the buyer to make sure they’re getting what they are paying for and not the seller to explain or demonstrate it comprehensively. Whilst this principle has been whittled down in some situations by (for example) the Sale of Goods Act and consumer protection legislation, in the case of the sale of a business, the principle still holds good. So how can a solicitor help you? It’s a big investment for the buyer and the cost of it proving a bad one could involve huge losses. A business cannot be “inspected” in the same way as a car or piece of machinery can be inspected. Much of it consists of information, even if there are also tangible assets like premises, stock, plant and equipment. The buyer wants and needs that information. On the other hand, why would you, the seller, disclose your commercial secrets to the buyer, particularly before the buyer has decided whether or not to proceed with the purchase, or even make an offer? It is common practice for the seller and buyer to enter into a “non-disclosure agreement” (NDA) to cover this exchange of information, so that the buyer cannot simply walk off with, say, the seller’s customer list and gain an unfair competitive advantage. Sometimes an NDA may be coupled with giving the buyer a period of exclusivity, during which the seller agrees not to negotiate with any other potential buyer. Having agreed to respect the confidentiality of the information provided, the buyer will usually serve a long list of questions via its solicitors, designed to elicit information from the seller. These will generally be focussed on issues of a legal and financial nature. At the same time the buyer will be undertaking separate enquires of a commercial and accountancy nature to ascertain the financial strength of the business. On the basis of the responses to the information the buyer may take the view that the business is worth less than it thought and seek a reduction in the price. Though a seller may be tempted, in the light of this risk, to be “economical with the truth” in its replies to buyer enquiries, that is a risky approach to take for the reasons explained next. Within the contractual documentation for the sale and purchase, the buyer will expect the seller to “warrant” (i.e. guarantee) the truthfulness of the information provided during the due diligence process. In a particularly bad case of seller falsehood, and if the transaction can be undone easily, then the buyer might even be able to rescind (cancel) the contract completely. In most cases, however, that will not be possible and the buyer will be left to claim compensation against the seller for breach of its warranties. Is there any escaping warranties? It would be an ill-advised buyer that doesn’t insist on the seller giving some (often extensive) warranties. limit the level of compensation to a particular amount. Because of the potential consequences for seller and buyer respectively, it is common for their solicitors to negotiate over the precise wording of the warranties being requested and being given. The warranties themselves will also be qualified by a disclosure letter and a disclosure bundle, about which more will be said elsewhere. This process can be very time-consuming indeed. In the end, however, the parties to the agreement are the ones who have to make the decision as to what level of commercial risk they are prepared to accept, and to instruct their solicitor accordingly, if they want to ensure that disproportionate amounts of time and money are not spent on fine tuning the words. For more information or to speak to one of our solicitors, please fill in the form below. Previous Entry: Gnash of the Day! What if your staff behaved like Luis Suarez?